At present, the cost of hair transplant is a sizzling topic of discussion in many parts of the world. With a growing encouragement to the concept of medical tourism, many people from European countries are planning to get a hair transplant in countries which offer the best quality hair transplant at a cheaper price. 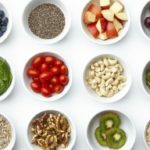 In the recent scenario, hair loss has affected many men and women living in European countries such as the United Kingdom, France, Denmark, Italy and many more. Noticing a few strands entangled in the hairbrush while combing is normal. However, shedding more than 100 hairs a day is not obvious and may signify a medical condition that needs immediate attention. Also, British men are more susceptible to experience hair loss at some point of time in their life. Although many companies have launched numerous products which claim to restore hair growth without undergoing surgical treatments, you should understand that when it comes to curing permanent baldness, hair transplant is the only way to combat the problem. In this article, we are incorporating a complete information on the hair transplant in Europe and their cost. The Follicular Unit Transplant(FUT) and Follicular Unit Extraction(FUE) are the two techniques of hair transplant which are appreciated by the hair transplant surgeons for their efficacy in treating permanent loss of hairs. Both these procedures involve complex steps and should be performed by the expert hair transplant surgeons only. 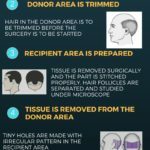 Follicular Unit Transplant (FUT)- The Follicular Unit Transplant or FUT hair transplant is a technique of transplanting the safe donor follicles from an area at the back of the scalp to an area experiencing extensive hair loss. The step wide procedure includes removal of a donor tissue with safe hair bulbs embedded in it, surgically. The incision made during harvesting the donor strip is sutured with the trichophytic closure so that the wound goes unnoticeable. The donor strip is passed on to the technical staff employed in the hair cutting room for proper storage and dissection of the grafts. During this process, the hair grafts are dissected into small sections and the tiny follicles are disunited from each other under high power microscopes. Thereafter, they are made free from an extra layer of dermis that comes attached to the follicles during extracting. Now, the prepared hairs are fixed in the slits made on the bald portion of the scalp in a well-defined manner to match the hair growth of surrounding hairs. Follicular Unit Extraction(FUE) – The Follicular Unit Extraction or commonly known as the FUE hair transplant has gained popularity as an advanced method of restoring hair growth on the bald scalp by transplanting the hair follicles that lacks receptors for DHT. In this procedure, a hair transplant surgeon picks up the individual hair follicles with the help of a rotating electronic punching tool that goes deep in the layer of skin till the level of hair root to be extracted. During extraction, a hair transplant surgeon is required to ensure that the punches are being made at the right angles to avoid potential damage to the targeted and surrounding hair follicles. After the extraction process is over, the follicles are thoroughly checked for no damage and then an implanter begins to set the follicles individually in the slits made on the balding scalp. The cost of hair transplant in Europe is extremely high as compared to the cost of hair restoration treatments in many parts of the world. The cost of hair transplant in European countries like the UK can range around Euro 25,000. Also, FUT hair transplant involves low expenditure then the FUE hair transplant. It is because of the involvement of expensive surgical tools such as the electronic punching machine and the tedious work done by the surgeon. Some factors on which the cost of a hair transplant depends are- the number of grafts required, the education and professional dexterity of a hair transplant surgeon, the involvement of technical staff and modern technology etc. What makes India a peculiar destination to get a hair transplant ? 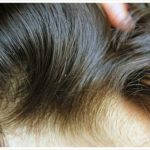 At present, many people from European continent prefer to get a hair transplant in India because of the availability of best hair transplant surgeons and the low cost of the treatment. Also, the medical tourism package offered by many hair transplant clinics to their patients seems tempting and allows them to enjoy the dual benefits of getting a hair transplant and exploring the culture and legacy of the place under one package. Medispa hair transplant center in Jaipur is one of the most reliable and trusted names for providing impeccable hair restoration treatments at an affordable price.